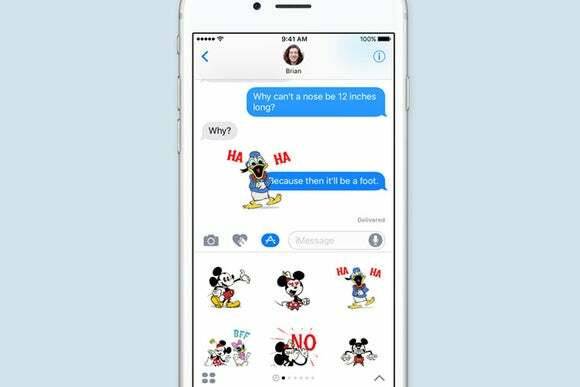 Having a hard time leaving the iOS 10 beta? A single file makes the difference. iOS betas are more of a pain, because you can’t simply roll the system backwards with a simple installation. 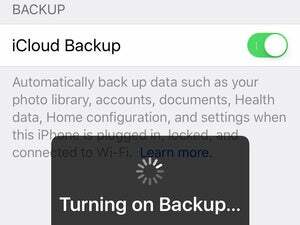 Instead, you have to have made a full backup before you install the iOS beta—fire up your time-traveling machine if you didn’t. To revert, you must restore that backup. It’s a reason to hold off on mobile betas if you don’t want to back up to back out, and lose any non-backed-up changes, like which apps you’ve installed since performing the backup, screen layouts, and certain non-cloud-stored local data. Remove this profile in iOS 9 to stop being informed about beta updates. But what I’m hearing with iOS 10 is that some enrollees have downgraded to iOS 9 and are still being alerted about fresh iOS 10 updates. That’s a problem if security or other updates are released for iOS 9, and you’re unable to install them. Michael Czyzewski, for example, returned to 9.3.3, and Software Update keeps telling him about iOS 10. He also went to the iOS Unenroll page and followed the steps to remove his Apple ID account from the program. What happened to him might be what’s occurring to some other folks: there’s a file you need to remove from iOS after restoring. 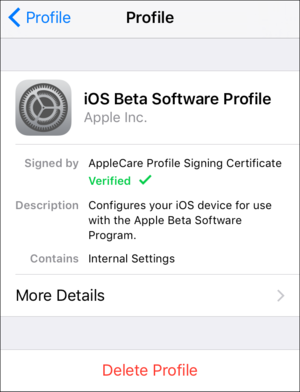 The iOS 10 beta program uses a profile—a bundle of cryptographically signed system settings—that you install in iOS 9 through the enrollment process in order to switch software updates to the iOS 10 tree. Because that profile is installed while you’re still running iOS 9, if you make an iOS backup after that point for a future restore, the profile will remain in place. To check if that’s your problem, open Settings and tap General and then swipe down. If you see a Profile or Profiles item, then you have one or more profiles installed; these are used for VPNs and other purposes, too. If that exists and the list contains one for iOS 10 beta, tap it and then tap Delete Profile. You’ll be prompted to enter your passcode and confirm deletion. That worked for Michael! He’s back orbiting planet iOS 9 safely. If no such profile exists on your device, we’re still stumped.